Monarch Air Group provides private air charter in Vancouver, BC, Canada. Our clients benefit from top-notch service, unrelenting dedication to safety, wide selection of aircraft, and years of experience in chartering private jets. To obtain a free quote, please use our online quoting tool provided below, or call toll free 1-877-281-3051. 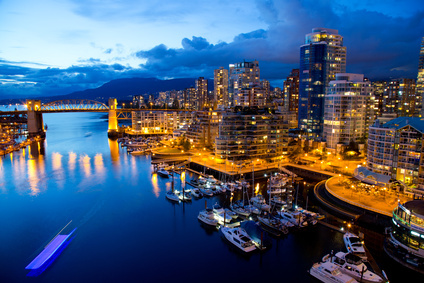 Monarch Air Group offers private jet charter services to and from Vancouver, BC, Canada. Vancouver International Airport (YVR) is the most commonly used airport for international air travel and private jet charters. Check out our fleet page for air charter to/from Vancouver. Besides, we specialize in arranging empty leg jet travel, as well as group charter flights and VIP airliner charters toor from Vancouver. 1. BLI, Bellingham, Bellingham, United States. 2. BWS, Blaine, Blaine, United States. 5. CWS, Center Island, Center Island, United States. 6. CXH, Coal Harbour, Vancouver, Canada. 7. DUQ, Duncan/Quam, Duncan/Quam, Canada. 8. ESD, Orcas Island, Eastsound, United States. 10. LPS, Lopez Island, Lopez Island, United States. 11. MVW, Skagit Regional, Mount Vernon, United States. 12. NUW, Whidbey Island NAS (Ault Field), Oak Harbor, United States. 14. RCE, Roche Harbor, Roche Harbor, United States. 15. RSJ, Rosario SPB, Rosario, United States. 16. SSW, Stuart Island, Stuart Island, Canada. 17. SYF, Silva Bay, Silva Bay, Canada. 18. WSX, Westsound, Westsound, United States. 19. XEA, Vancouver Rail Stn., Vancouver, Canada. 20. XQU, Qualicum, Qualicum, Canada. 1. Sheraton Vancouver Wall Centre, 1088 Burrard Street, Vancouver. 2. Pan Pacific Vancouver, 999 Canada Pl #300, Vancouver. 3. The Fairmont Hotel Vancouver, 900 West Georgia St., Vancouver. 4. St. Regis Hotel, 602 Dunsmuir Street, Vancouver. 5. Four Seasons Hotel Vancouver, 791 West Georgia Street, Vancouver. 6. Rosewood Hotel Georgia, 801 West Georgia Street, Vancouver. 7. YWCA Hotel, 733 Beatty Street, Vancouver. 8. Wedgewood Hotel and Spa Vancouver, 845 Hornby Street, Vancouver. 9. Opus Vancouver, 322 Davie Street, Vancouver. 10. Sheraton Vancouver Wall Centre, 1088 Burrard Street, Vancouver.